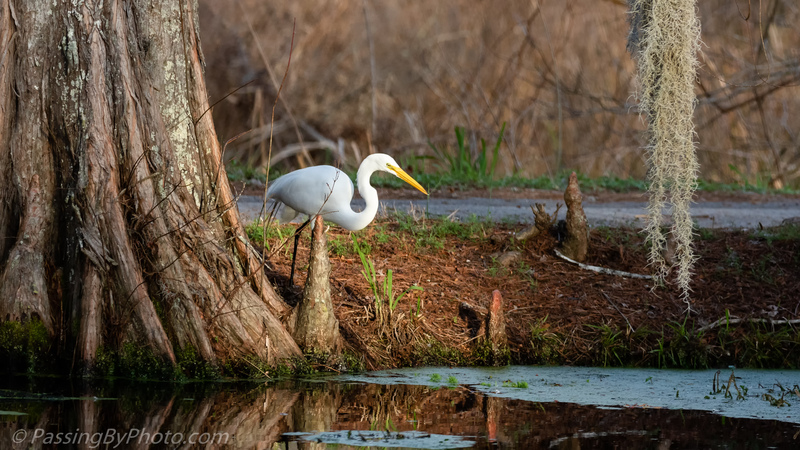 This corner of the pond has been a recent favorite spot of a Great Egret. 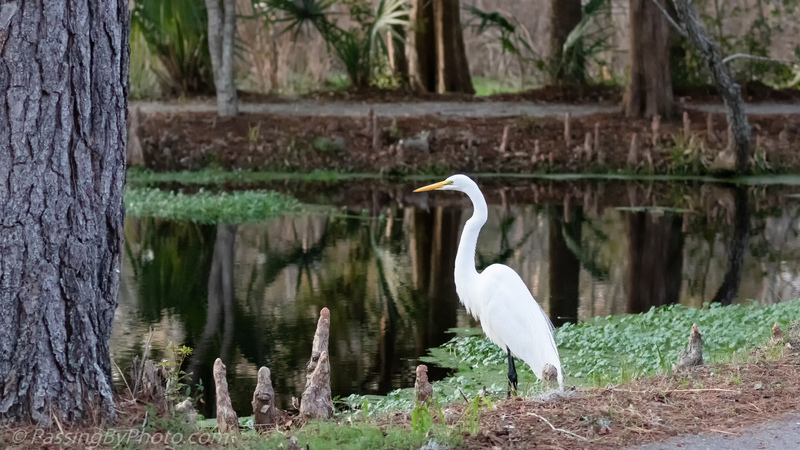 He paces back and forth along this bank, occasionally fishing. The second two images were taken about an hour later and I was standing facing where I had taken the first two shots. 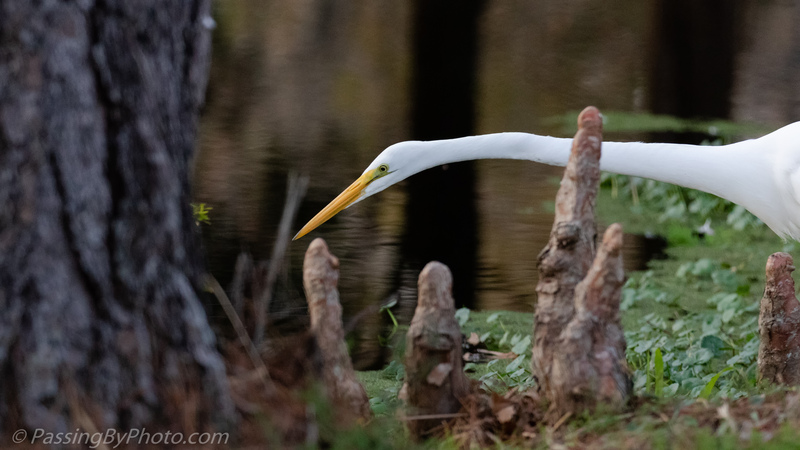 The Egret had left and returned while I was down the trail. These birds will stare at the water for an amazing length of time, just waiting for something to move. 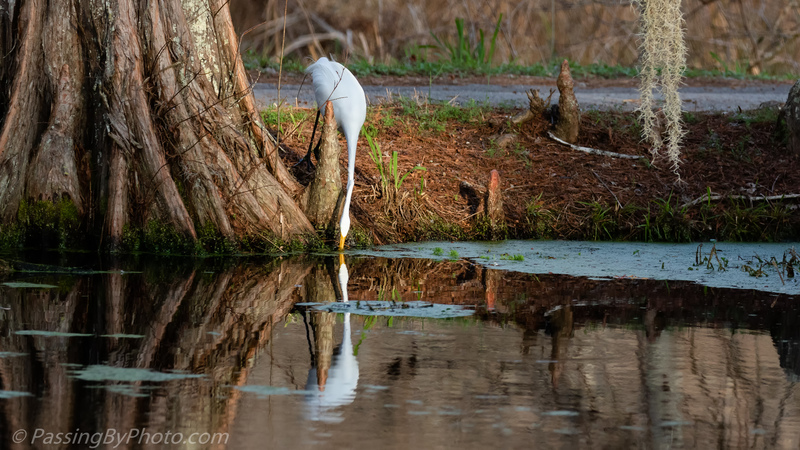 It amazes me, time and again, how you succeed in photographing these Egrets. Here they are very shy and tend to fly away the moment one is still over 100 yards away. Oh, that is frustrating when they zoom off like that! These that don’t seem to have become habituated to people. There still is plenty of wild undeveloped area nearby that people can’t get to so I’m not sure why these choose an area where there is human activity.